It’s one of those things – everyone knows it’s damaging our hair, but we just can’t stop doing it: Heat Styling! Heat dehydrates the hair and leaves the cuticles dry, rigid and brittle. As stylists we’ll probably never be strong enough to completely break up with blowdryers, curling and straightening irons. The least we can do is give the hair a little heat-break every once in a while. But heat-break doesn’t necessarily mean styling break. Find out how to straighten hair without heat and how to curl hair without heat! From curling and waving to smoothing and straightening – in this article we show you how to do it all – without heat. Wondering how to straighten hair without heat? Follow these easy instructions! 1. 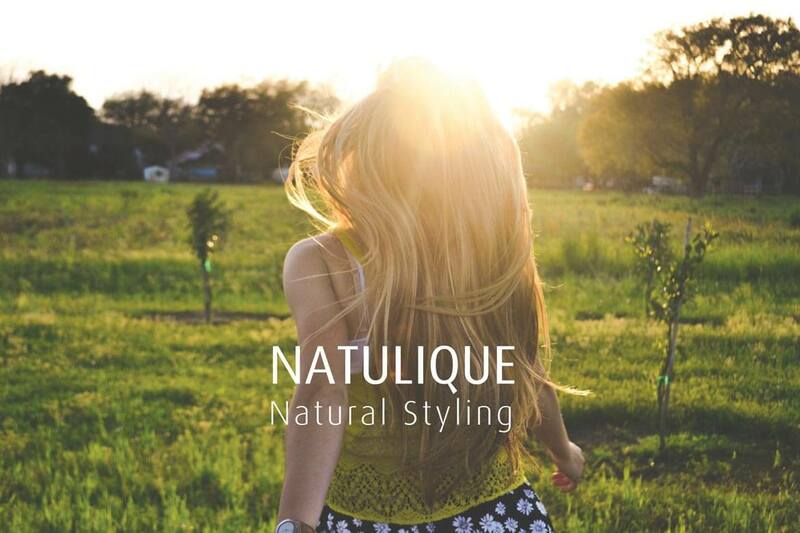 Pre-wash hair with NATULIQUE Volume Hairwash – do not use any conditioner. 2. Divide into sections. It is important to start with the partings of the hair, as it will be formed that way. You can comb all the hair backwards to avoid any partings. Keep hair movement one way. Remove and avoid any knots and tangles. 3. Select the NATULIQUE Soft (2), Medium (1) or Strong (0) Wave Curl Creator depending on present condition of hair *) Apply solution to the hair and comb it straight. Be sure to comb gently and as little as possible to avoid moving the bonds around and distorting the hair. Do not apply on or let drip onto the scalp. Do not add any sort of heat. Sitting time is 20 minutes which is to be followed carefully (Do not rinse out after the 20 minutes). 4. Mix 1 part NATULIQUE Curl Creator Neutralizer with 3 parts of lukewarm water. Apply the mixture when the processing time is up (20 minutes). Ease the Neutralizer through the hair with a comb. Leave for 5 minutes. 5. Rinse out the NATULIQUE Curl Creator Neutralizer with lukewarm water. 6. Remove excess water with a towel leaving the hair damp. 7. Mix 1 part NATULIQUE Curl Creator Stabilizer with 1 part lukewarm water. Apply the mixture generously. Sitting time is 7 minutes. 8. Rinse the hair with lukewarm water for 5 minutes. From straight to wavy or curly hair without heat? All it takes to create natural beach waves without curling and straightening irons are these three simple steps. Step 1: Start out by washing the hair with a shampoo and conditioner to protect the locks from the UVA/UVB rays from the sun. This will ensure that the hair will stay protected and keep it from being damaged in the sun. For extra heat and sun protection, apply a heat and sun protector. Step 2: After washing the hair, squeeze it until it stops dripping. Wrap the hair in a towel and let it dry for 15-20 minutes. Treat your hair with a natural oil to smooth ends and remove any unwanted frizz. Use a wide-tooth comb and start untangling gently from the bottom and work your way to the top of the head. Step 3: Lastly, air dry hair to let the natural waves, formed by the wide-tooth comb, appear naturally. Enjoy! If you have clients with beautiful natural curls, advise them how to enhance their curls without heat to define their beauty damage-freely. Curl Cream: One way to enhance natural curls is using a curl defining cream. Apply a small amount of cream to towel-dried, damp hair. Pay special attention to the mid-lengths and ends. Let hair air dry. The NATULIQUE Curl Defining Hair Cream protects the hair and prevents frizzing. It contains natural wheat protein and is enriched with vitamin B5 (Panthenol) to help creating firm and workable curls. Hair Mousse: Another way to enhance natural curls, is with a hair mousse. Shake well before use. Apply where extra volume is required, near hair roots and/or through-out the length of the hair. To create curls and waves, apply the mousse to towel-dried hair and allow to air-dry while using your fingers to shape the curls and waves. The NATULIQUE Volumizing Hair Mousse provides you with the maximum manageability and creativity by actively promoting gorgeous curls. The NATULIQUE professional curl and smoothing system is the perfect answer to how to straighten hair without heat and how to curl hair without heat. The Curl and Smoothing System contains organic and natural ingredients.